"Since it’s Sir Jadeja I had to welcome him to Instagram in a royal way!" In this age of social media, cricketers, like all celebrities, have come closer to their fans. There is no dearth of new ideas from the icons to make their appeals even more unique, besides the regular on-field heroics. 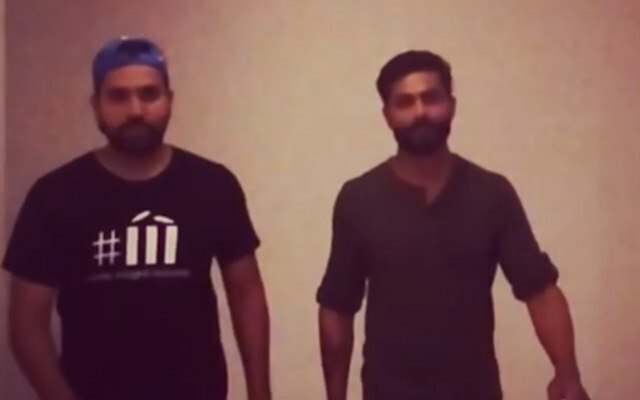 Sometimes, their style statements are applauded, while at other times they are not, but the effort to floor the fans is ever continuing, Recently, two of India’s star cricketers did the same and it was an instant hit with the social media users. Both Rohit and Jadeja are currently playing the ODI series against the Windies that India are leading 2-1 with the final match to be played in Trivandrum on Thursday. Though Jadeja hasn’t had anything extraordinary in the series, managing 20 runs and two wickets in three matches, Rohit has been in a good form and has slammed two 150-plus scores already, competing with captain Virat Kohli who has three hundreds from four games. Rohit hit 152 not out in the first match in Guwahati batting second and 162 in the fourth match in Mumbai batting first and on both occasions, India came out victorious by far. Though his century in Guwahati was eclipsed by Kohli’s 140, his second ton was emphatic enough to earn him his the man of the match award. Rohit has hit three hundreds in his last eight ODI games.